Why Consistency is key when it comes to achieving your goals. 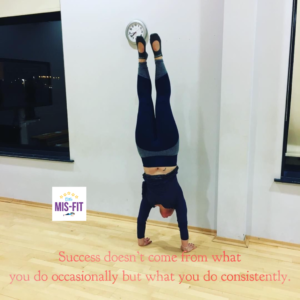 When it comes to achieving your goals such as getting fitter and healthier , or indeed anything you wish to succeed at , the key is Consistency. Creating little habits that you continue to stick with , until it just becomes second nature to you, just like since you were little , you’ve been brushing your teeth every day probably at least twice. All those small changes when repeated on a regular basis, will all add up to huge differences. Maybe you want to create a healthier lifestyle , so you feel fitter , stronger and healthier. Maybe you are training for a fitness event such as the Great North run, and you need to be consistent with your training, even when its cold outside or worse sometimes – too hot!, (definitely go early morning /early evening in that case!) . Maybe you want to set up your own business and need to work on it in your spare time and therefore need to be super organised so you use the time you do have productively. Think about your Big goal – the thing you want to achieve and then try setting little goals for yourself that will help you toward that big goal and just notice the success that follows if you can just stick with these daily/weekly habits. Something my Small Group training girls practice over the 6 week programme and when they do, they see the results of their hard work and commitment. Many of the habits they create, they continue with after the 6 weeks is over , not all but you often find some habits just stick , whilst others are work in progress – hey we are all human. Its just trying to be as consistent as you can – and you’ll notice the ones you do regular, are the ones that bring you the most results. Maybe this week for example , you decide that you are going to drink 2 litres of water each day ,and swap out some of your regular cups of tea/coffee for herbal tea instead. In addition aim to move your body at least 3 times this week – be it take a class, go for a walk or a swim or just stick on your favourite playlist and dance for 20 minutes – hello instant mood lifter and cardio workout!. Maybe the following week , you continue with the above but also add in a new additional habit like trying one new reciepe/meal idea each week , or each month. Perhaps you run your own business or would like to and you need to set time aside each week to make sure you get done what needs to get done. Take some time at the weekend to look at your week ahead and see what you have going on and where you can fit in your workouts that week. Pencil them in your diary and make a commitment to yourself to actually do them. Maybe you already make time for workouts and work , maybe you need to schedule in some down time!. This is something I am working on – scheduling in time in my week for work and also for time to step away from my phone/Ipad/laptop. I think especially when you run your own business and you love what you do it can be hard to totally switch off sometimes. My work schedule used to be crazy, but now I have found a little more balance so aiming each week to take time out away from work to just be. It actually helps me be more productive with the time I do block out for work. Also whilst you have your diary out and know what you have on, plan out your meals for the week ahead. That way you can do a food shop and get in everything you need – it also helps limit wasted food,plus you only need to buy what you need. Maybe prepare some meals in advance – especially for the busier days/nights. Something you can make in advance and just pull out the fridge or freezer to reheat when you haven’t got lots of time to cook. Things like Stir Fries are also perfect for busy days. Some days early morning is the only time I can fit in my own workout , and Three times a week I also teach early morning sessions – so I always make sure to put my clothes out the night before which is a huge help as it means, everything is just there ready for me to put on. just spending 5 minutes the night before , organising myself saves me time on a morning. Find what motivates you . Sometimes you just plain can’t be bothered – we’ve all been there, but you know it has to be done and you will feel so much better for it afterwards . A bit like housework though I have to say thanks to Mrs Hinch , I am much more motivated after watching one of her Insta stories!. Its crazy but honestly I can just sit and watch this woman clean her bathroom for 15 minutes and then I feel the need to go clean mine and then I can relax and enjoy my Zoflora smelling home . 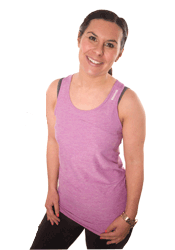 This week I got a message from one of my Online clients, who said she really could not be bothered to exercise that day, but she had forced herself and gone back through our library – picked out a workout she knew she loved and did that one – the result?, she felt so much more energised. Often knowing and understanding your Why – the reason you are doing this will help you stay motivated and on track. Another one for me – I hate going to the dentist, I have a really lovely dentist and I’ve been going for years, but it still fills me with dread at the thought of going, but the thought of horrid teeth fills me with even more dread so twice a year, off I head and honestly once I am there – I’m totally fine. Make a note of your Big Goal and keep it where you can see it on a regular basis as a reminder of what you are aiming for. Maybe keep a copy of it as a screen saver on your phone/ipad/laptop. Maybe keep it in the front of your diary or on the fridge – anywhere you will see it daily to keep you focused. Sometimes when I really struggle with motivation but I know I have something I really need to get done is I set my timer on my phone for a maybe 45 minutes or an hour – I call it a power hour and then pop my phone in another room – so I’m not tempted to procrastinate on social media (hands up who else does that?) and instead focus on that one task for that duration and then by the time , the timer is up , I found I’ve actually made at least a dent in what I needed to get done, and possibly even completed the task and able to tick it of the to do list. You can then reward yourself on a job well done with maybe a nice sit down and a cup of tea and a book or whatever brings you a little peace and quiet. Results happen over time, not overnight , work hard, stay consistent and be patient. It won’t always be easy , but It will be worth it!. Do Let me know how you get on – comment below, or tag us on social media , I love to hear from you!. lets go achieve our Dreams in 2019! You can find us over on Instagram @littlemisfitjojo and Facebook – www.facebook.com/lilmisfit1.